A while ago I received a surprise packed from an online pharmacy. In this packed I got 3 products from vichy. So I thought these are perfect for a review! So I tested these products out for a while now, so time to review them for you! So I’m going to tell you all about the vichy cleanser, shower oil and the mineral mask. This product works fantastic as a make-up remover! I use this as follows: I make my face a bit wet, take some of this product and a bit water and then I apply this in circular movements on my skin. I find this the easiest way the remove all my make-up. And this remover works fantastic and takes care of my skin! So I wanna buy this cleanser for sure again! The smell of this shower oil is neutral. This is the perfect shower gel for when you have a dry or sensitive skin. Because this is a very soft product that feels good and hydrates the skin. It’s a soft and good shower gel that works fantastic! This face mask feels so good and refreshing when you bring it on. According to vichy you must leave this on your skin for 5 minutes and then you can massage it into your skin. Or you can really massage this into your skin after 5 minutes? No, not really this is more a mask that you must bring on before you are going to sleep, that I can affect whole the night. If you do that… Then works this mask fantastic! I bring in on in the evening and I wake up in the morning with a soft and hydrates skin! This mask is really fantastic for my skin! It let my skin look so good! So yes this mask from vichy is for sure an amazing product when apply it in the evening! 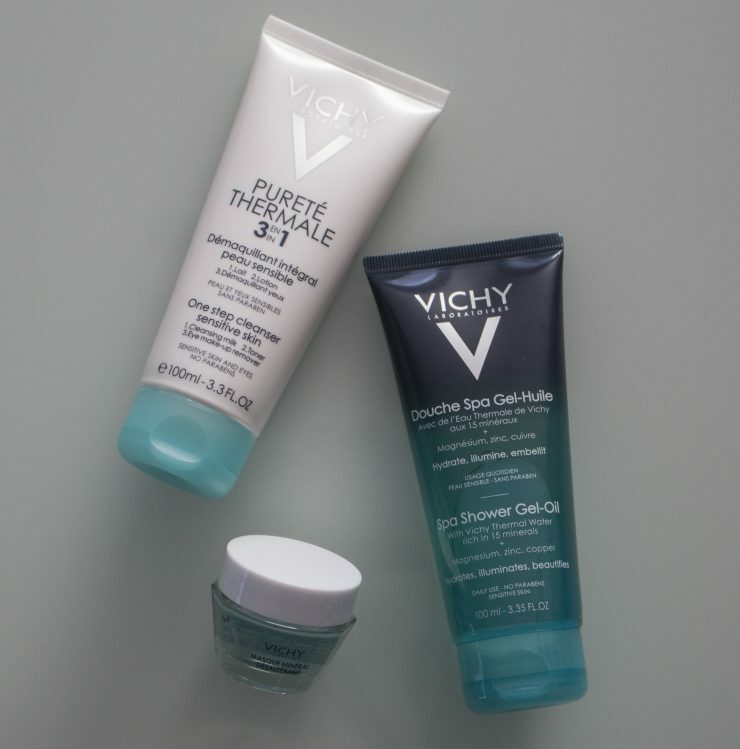 Yeees, vichy I really love these products! These products work amazing, and the remover and mask I wanna buy for sure again! Because these are fantastic for my skin! So if your are looking for good products that work amazing without drying out your skin? Then are these from vichy fantastic! Vichy is available online and at the pharmacy. Disclaimer: the blogger behind missprettiness.com has dyslexia. I’m doing the best that I can. But if you see a spelling mistake I’m sorry about that.